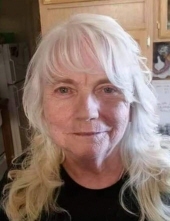 Barbara Reece, 72 years old went home on February 5, 2019. She was born in Pocatello on July 3, 1946 to Henry and Lucille Mathews. She is survived by her children; Ron Ohmie, Selena Ohmie, Pam Call and Bob Ohmie; 14 grandchildren; 24 great grandchildren; her sister, Carma Palmer; and her brother Rick Mathews. A special invitation to all friends and family: a viewing will be held at 12 Noon on Monday, February 11, 2019 at Gate City Christian Church, 202 West Siphon Road, Pocatello, Idaho 83202. Funeral services will be at 1:00 PM at the church with graveside services to follow at Mountain View Cemetery in Pocatello. Mom, you will always be loved. To send flowers or a remembrance gift to the family of Barbara Dean Reece, please visit our Tribute Store. "Email Address" would like to share the life celebration of Barbara Dean Reece. Click on the "link" to go to share a favorite memory or leave a condolence message for the family.